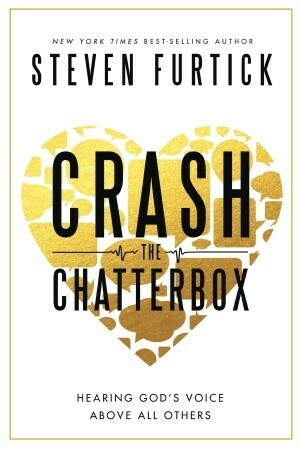 Since Steven Furtick’s book, Greater, turned my world upside down I was anxious to read and review his latest book, Crash the Chatterbox. So many of us today deal with insecurities, fears and discouragement. These all work to keep us so discouraged and defeated that we are no longer effective for Christ and what He has called us to do. Steven brings light to these struggles and shows what they really are – lies from the enemy. The chatter in our heads that becomes so loud that we can no longer hear God’s voice. The great thing about this book is that Steven doesn’t just present the problem. No, he walks you through how to “crash” the voices. He presents the biblical truths and shows how to apply them to your own life. He also has included some discussion questions in the back of the book that you can use for your own personal study or with a group. I would highly recommend this book. This is something we all deal with from time to time and we must learn how to Crash the Chatterbox in order to hear God’s voice. **I would like to personally thank each and every one of you that participating in the March blog series over our identity in Christ. And now to announce the winner of the signed copy of Get REAL: Stop Hiding Behind the Mask…..LeQuita Jones. Please email me, jamywhitaker@yahoo.com, your mailing address as well as whom you would like the book signed to. Thanks again for participating in this blog series. I love hearing from you, so if there is a series you would like to see me address on the blog please let me know.